This is a two-part blog series on the changing role of desktop virtualization in the Higher Education space. This first part of the blog will focus primarily on the ways that VDI has changed the environment in higher learning institutions, and Part 2 will focus on ways that I see VDI’s role continuing to evolve in the future. When I first started talking to universities, community colleges and for-profit learning institutions about desktop virtualization, there was a constant theme: a need to streamline management of sprawling computer labs. On top of trying to keep students from pirating music and providing phone support for thousands of different kinds of personal devices, the average campus IT department was supporting 1,000 lab computers dispersed across 100 different locations. The amount of personnel time that was devoted to “Patch Tuesday” and endpoint remediation was astronomical. Because as many as 10% of those computers rejected patches and had to have in-person maintenance, “Patch Tuesday” could easily bleed into “Patch Wednesday” and beyond. As a result, the idea that lab computer maintenance could be centralized and completed from a single command center was very attractive. Moving lab systems from traditional PCs to thin clients further reduced management burdens and drove simpler execution. IT administrators could transition from gearing up for Patch Tuesday and address more strategic initiatives that would help the university. And, then, for those that adopted early to solve those management problems, some magic happened. Applications, tools, even the entire desktop experience could be directly served to student computers as well, enabling greater flexibility, taking pressure off campus labs during the crunch of midterms and finals, and allowing students to take advantage of sophisticated software suites from the comfort of their dorm rooms at 3 a.m. The results were transformative for both teaching and learning. Students could work when and where it made sense for them, rather than competing for software access during lab hours. Plus, VDI helped bridge the digital divide between wealthier and poorer students. 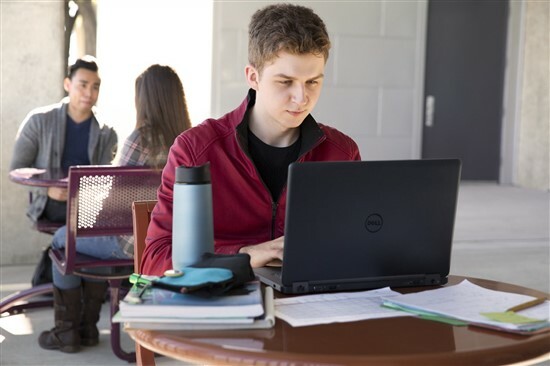 Less powerful student-owned endpoints that lacked the horsepower or rendering capability to run sophisticated applications could now access a broad range of software from campus servers. This also opened new doors for schools serving students with alternate scheduling needs, like working students attending night classes. Discussions with forward-thinking campus IT professionals about how desktop virtualization could enable lab consolidation and transformation led to initiatives to free up classroom space and create “21st Century Collaboration Spaces.” Instead of rows and rows of computers, these spaces could now be equipped with areas for smaller groups of students, including remote students via webcam, to work together. This was great in concept, but there was a technology barrier to really making this happen. When the computer labs were originally set up, a lot of the smaller, more specialized labs were put in place specifically to serve up sophisticated applications for modelling, CAD, or statistical analysis. Until recently, though, desktop virtualization technology was limited in its ability to virtualize 3D graphics applications and deliver a seamless user experience. So, perhaps counterintuitively, these smaller labs could not be consolidated. As a result many campuses were forced to run a dual-technology structure for their labs, with some labs running virtually and others relying on traditional endpoints. In the past year or two, dramatically-improved graphics virtualization technologies and ever-more powerful thin clients have completely changed the game, yet again. Suddenly, historically complex applications can be accessed in frictionless architecture in a generalized lab that allows for students with a range of workloads, from a simple Word document to accessing complex CAD/CAM applications, with no degradation in speed or user experience. Additionally, students have the flexibility to access these applications on their own computers back at the dorm. Following this transition, we’re hearing more about true lab consolidation and the freeing-up of labs into either collaboration spaces or much-needed classroom or meeting spaces, especially in urban campuses where space is at a premium and expansion isn’t an option. Indeed, the benefits of cloud client-computing are so powerful that Higher Ed as a sector has been among the strongest advocates for the technology among early adopters of desktop and graphics virtualization. So, what’s next for Higher Ed and VDI? What new problems can this technology solve in the university environment, as it gets more powerful and less expensive? Stay tuned next week for Part 2 of this two-part blog series to find out our ideas for interesting directions moving forward.